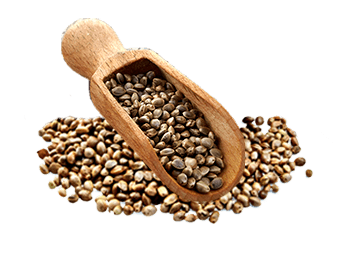 Hemp seeds (Cannabis sativa) are technically classified as nuts and have a pleasant nutty flavor. Densely nutritious, Hemp seeds are rich in Omega-6 and Omega-3 essential fatty acids as well as both soluble and non-soluble dietary fiber. They also contain good amounts of magnesium, iron and zinc.